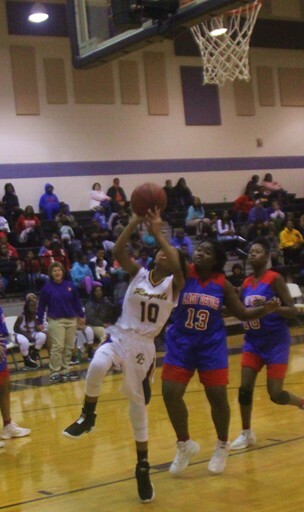 Jalexia Taylor drives to the basket. 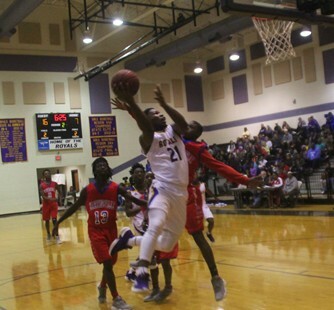 BCHS looked to again sweep the season series from Hawkinsville when the teams met in Cochran. Though the boys had more of a struggle, it was a successful night for both teams. Tesa Taylor goes up for two. Marklayla Jenkins accounted for eight of the Lady Royals 17 first half points as BC led 17-5. Hawkinsville scored just one second quarter point. She finished with 20 points to lead in a 40-26 win. 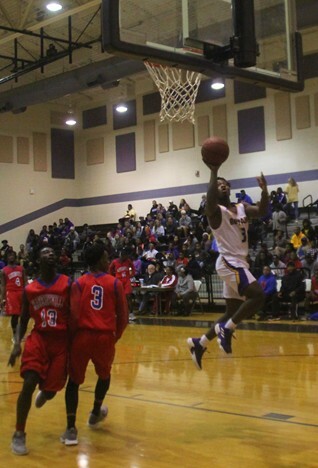 Nykeem Farrow has an open layup. Three�s by Mekell Farrow helped erase a 14-0 first quarter deficit as the Royals led 26-25 at halftime. Though up by as many as nine in the third, the Red Devils had drawn to within two by quarter�s end. A Red Devil player tries to stop Shontavian Manuel's drive. 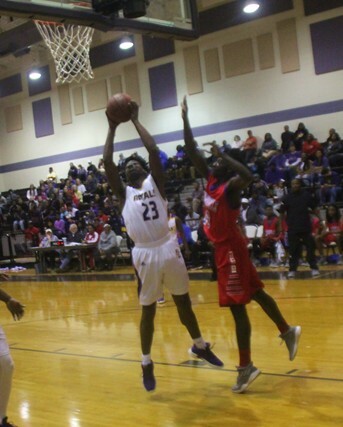 Nykeem Farrow�s consecutive baskets in the fourth, and a sequence in the final 20 seconds that saw him dribble around and away from defenders, helped Bleckley to a 57-53 victory. He led with 19 points. Mekell Farrow scored 15 points. Shontavian Manuel added 12 points. Mykel Anderson shoots with a defender nearby. Region play resumes December 11 at Washington County. Tip time is 6 pm.